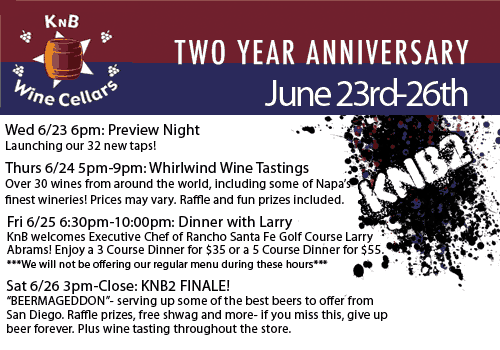 KNB Wine Cellars, one of the best bottle shops in San Diego, is celebrating their 2 year anniversary by adding 16 taps, doubling the amount of draft beer to 32 taps. 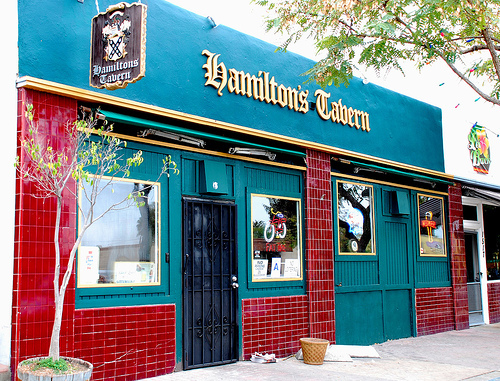 Which in my opinion makes them one of the best draft beer selections in east San Diego. Starting today (Wednesday, June 23rd, 2010) they’ll be having events throughout the week and weekend. Tonight starting at 6pm they’ll be tapping a new beer every five minutes until they have all 32 taps flowing. Thursday is dedicated to wine (but I’m sure you scan still drink some of the great beer they’ll have on this week) and Friday is a dinner with Larry Abrams the Executive Chef at Rancho Santa Fe Golf Course (more info here). Peter Rowe wrote a great piece on Cucapá, a small brewery in Mexicali for the Union-Tribune recently. The article profiles the brewery and describes some of the problems they face due to Mexico’s beer culture. 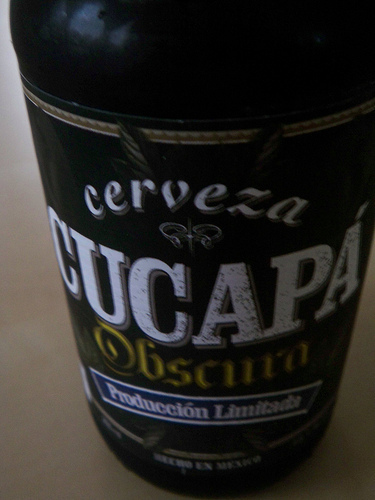 I’ve seen Cucapá’s beers in the US far more often than I have seen them in Mexico. It’s not too hard to find Cucapá Obscura, Cucapá Honey or Chupacabras Pale Ale in San Diego. And the article mentions some new beers the brewery recently release or will release soon: La Migra Imperial Stout, Runaway IPA, Lowrider Rye Ale, Green Card Barleywine, and Tequila Barrel barrel-aged Barleywine. Many of these beers will be available at the Tijuana International Beer Festival, happening July 16th and 17th (more on that soon). There was a fifth pairing available as well available for $12 (presumably because both the beer and cheese are much more expensive) Framboise de Amarossa paired with Cambazola Black Label. We opted for the four standard pairings and skipped the Framboise de Amarossa. Counterpoint is a fairly small space, not tiny but not huge, and every table was full, but it didn’t look like anyone was having to stand up. I noticed about half the people there had beer and cheese pairings on their tables. The first pairing, Devotion and Pondhopper went well together. It was my first time trying all the beers except for Judgement Day, I loved the aroma of the beer but the taste of the cheese overpowered the beer just a bit I think. Not a bad pairing though. The second pairing, Red Barn and Pecorino Limone was our least favorite of the four. Neither of us were huge fans of the beer, but the I just didn’t feel the cheese went particularly well with the beer. The cheese had some citrus from lemon peels in it, and I would have preferred a more hoppy beer, something with some citrus or grapefruit hop flavors. Lost & Found paired with Vlaskaas was by far my favorite pairing of the night. The beer was malty with very little hops coming through, a beer I generally wouldn’t like much, but it paired perfectly with the Vlaskaas cheese. 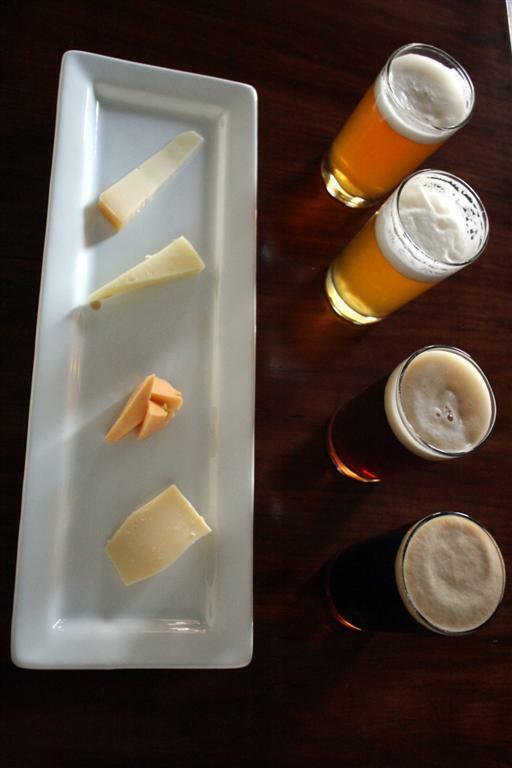 Both the beer and the cheese were rich and creamy, they complimented each other perfectly. The last pairing was Judgement Day and Gruyere. I had had this beer once before however I wasn’t a big fan of it that first time. This time I enjoyed it much more, I’m not sure what to attribute that to. It paired with the Gruyere pretty well, but Judgement Day is so rich, it’s a 10.5% ABV Quadruple style ale which has plenty of complex characteristics on it’s own. There’s definitely some very rich fruits and chocolate as well as raisins (and people with pallets better than mine say they taste vanilla, caramel and toffee as well). I felt the Gruyere didn’t quite stand up to this beer. The Gruyere was itself a very strong cheese, but I felt like I was hardly tasting anything at all when taking a bite of the cheese after sipping on the beer. This didn’t diminish the experience too much, as I cleansed my palate a bit and enjoyed the cheese and beer separately. The pairings for the most part were great, and the price was very reasonable. I look forward to more events like this at Counterpoint and elsewhere around town. Saturday July 24th, 2010 from 3-5pm, The High Dive on Morena Blvd. will be hosting their fourth annual Beer King Competition. Just what is the Beer King Competition you might ask? It’s a blind taste test of twelve beers, whomever identifies the most is crowned the Beer King (or Beer Queen as High Dive’s Chad Cline notes that the last two years a woman has won the contest). 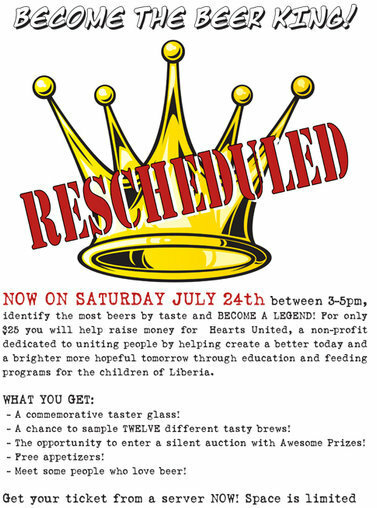 The event is a fundraiser for Hearts United, a non-profit charity that helps children in Liberia. Entry is $25 which gets you a commemorative taster glass, twelve tasters and free appetizers. Each contestant will receive a list of the twelve beers and it’s up to them to guess which is which based on taste, aroma and appearance. Cline tells me that it will be mostly craft beer with a couple macrobrew curve balls thrown in. This post was updated 6/17/2010 to reflect the new date because the event has been rescheduled. 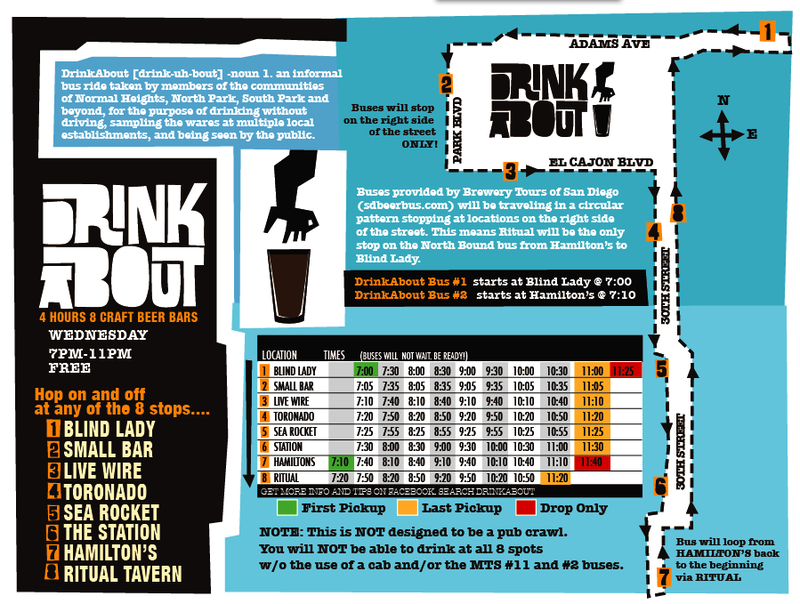 Just a quick post to remind you that the monthly SD DrinkAbout is tomorrow, Wednesday June 16th from 7-11pm. As usual there will be a free bus offering rides to Blind Lady Ale House, Small Bar, Live Wire, Toronado, Sea Rocket Bistro, The Station, Ritual Tavern and Hamilton’s Tavern. Check out the SD DrinkAbout website to see this month’s specials. With plenty of bars pouring all sorts of special beers for San Diego Beer Week Preview Weekend it was hard to decide where to go and what to drink last night. 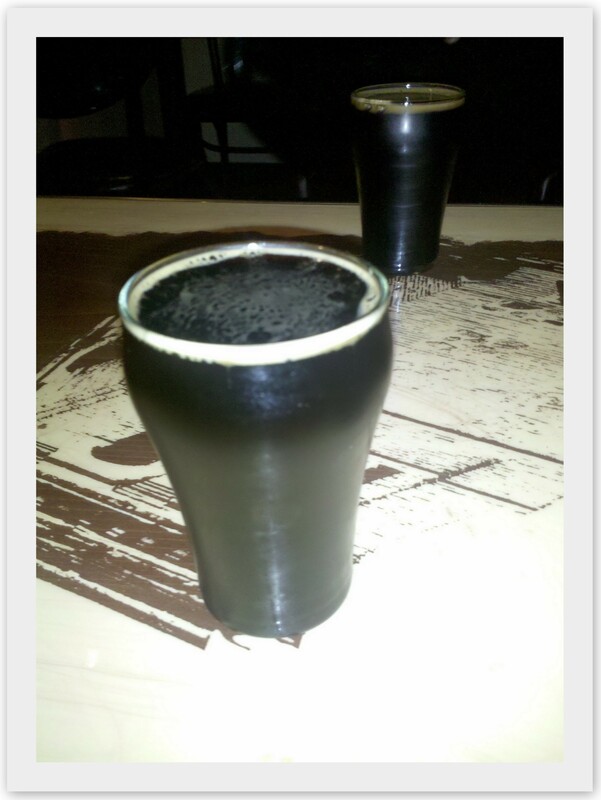 But I found myself at Toronado and Ritual Tavern, and certainly wasn’t disappointed. Toronado was hosting a Firestone Walker showcase with seven Firestone brews on tap and one on cask including Parabola the much sought after Imperial Stout. On cask was 100% oak fermented, unfiltered DBA, which was the first beer I opted to try. While I certainly don’t have any complaints about DBA, I’m also not a huge fan of it. I enjoy it but it’s not one of my go to beers. The oak, unfiltered DBA on cask was good, and I’m glad I tried it, but I didn’t order a second pint. Instead I moved on to Firestone Walker’s Union Jack IPA, a beer which I had never tried before. With a name like Union Jack IPA I was expecting a British IPA, but was pleasantly surprised when I tasted it. It’s loaded with American hops, Warrior, Simcoe, Cascade, Centennial, Amarillo, Chinook to be exact, and had a nice citrus hop flavor and aroma. No wonder it won back to back gold medals at the GABF in 2007 and 2008. At 7.5% it’s on the fence between a standard American IPA and a Double/Imperial IPA. This is certainly a beer I’ll be drinking again. I made my way down to Ritual Tavern to try the three year (two of those years barrel aged) blend of Alesmith Brewing Co.’s Speedway Stout. Speedway Stout is one of my favorite beers, so I had high expectations for this, and while it didn’t disappoint, I don’t think it lived up to all the hype I let build up in my head either. It felt a bit “warmer” than standard Speedway Stout. And I’m not exactly sure what I mean by the word “warmer”, it didn’t taste stronger alcohol-wise, but was a bit less sweet and the coffee didn’t come through at all. It smelled a bit like a port wine. Again a good beer I’m glad I tried, but for the price and taste I’ll stick with the standard Speedway Stout. 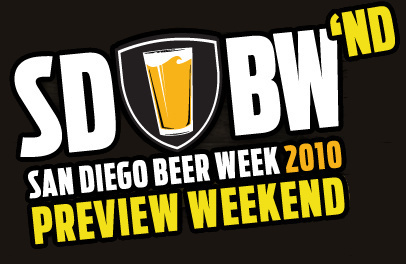 Last night was just the beginning of San Diego Beer Week’nd. There’s plenty more great beer on tap throughout the weekend. Ingredients: Maris Otter, Munich, roasted barley, oat, black, and chocolate malt; Columbus and Crystal hops; English ale yeast, and our localGrimstad water. Nøgne Ø Imperial Stout is a very drinkable Imperial Stout. I should preface this by warning you that Imperial Stout’s are probably my favorite style of beer. But this was my first time drinking Nøgne Ø’s Imperial Stout (and only my second beer from Nøgne Ø). Nøgne Ø Imperial Stout is 9% ABV, which is above average for the average beer, but probably below average compared to many other Imperial Stouts. Nøgne Ø Imperial Stout doesn’t have an overwhelming aroma or taste of alcohol that many high ABV beers have. I poured this from the bottle into a pint glass and it was thick and dark, not quite black but once in the glass it let no light through. There was about an inch worth of light brown head at the top of the glass that dissipated fairly quickly. It smelled of roasted malt and chocolate. Not much hop aroma and no alcohol coming though. The taste was very balanced, not too much malt, nor too much hops. I started drinking it when it was a little on the cold side, but I could still pick up plenty of chocolate and roasted malt. As it warmed up I tasted some liquorice and the hops came out a little. I couldn’t smell or taste the alcohol but after half the glass it was obvious that this is a strong beer. It was well carbonated but not over carbonated and had a good thick consistency while I was drinking it. This is a beer I would certainly drink again and recommend to others. It’s a little on the pricey side, but then again it is a quality beer coming from Europe. While there are sure to be plenty more beer events going on this weekend than I’ve listed below and in my previous post, I just wanted to update with a few events that came in since I posted. The info below is from each of the respective bars. So get out there any enjoy some great beer this weekend. Let’s talk BEER first: Friday we’re gonna have Friday Night Flights. How is that for vague? 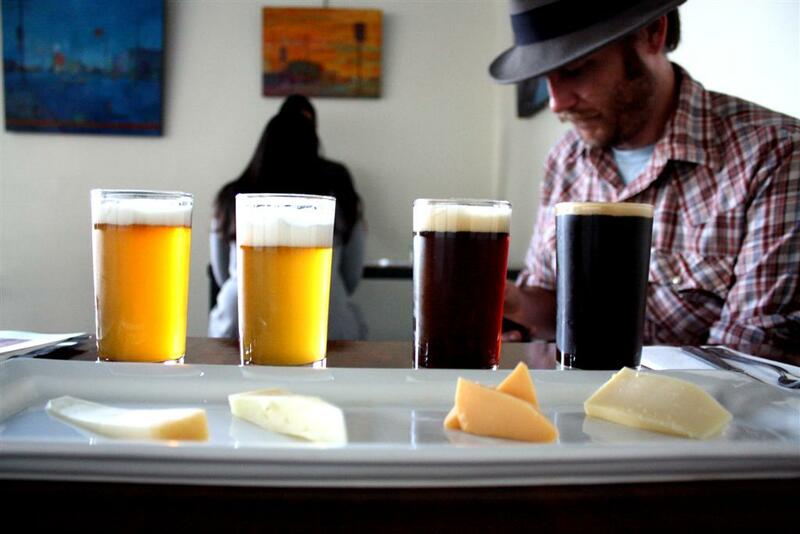 Basically they are “style showcase flights”– we will pick six beers that are good examples of six different styles. Then, we’ve got a Green Flash Showcase going down on Saturday, including a cask of something tasty and GF. And we’ve got a New English Showcase + Pitcher Giveaway on Sunday. New English beers are local and tasty and make great Sunday drinking beers. We have a limited number of Blind Lady etched pitchers to GIVE AWAY with a purchase of a pitcher. Also, we will have cheaper re-fill prices if you want a second. In addition, BLAH will have a five gallon keg of their newest brew Chocolate Rain, Too on tap at 9pm tonight (Thursday the 10th). Friday is Alpine Night at the pub featuring 9 full size kegs from this little mountain brewery. We have two very special kegs – Good, the non-barrel aged version of the Great Barleywine that is 14.1% alcohol. We will be doing 10 ounce pours only of this massive beer unless you are 6 foot nine or taller. The other special keg is much anticipated Ned, which is a Flanders Red that is ooh so drinkable. The sour cherry notes blend well with the barrel flavors making you feel like you are in Belgium. The other 7 beers will all pretty much be hoppy – Duet IPA, Nelson Rye-IPA, O’Brien’s IPA, Hoppy Birthday, Alpine Ale, Pure Hoppiness and we will have the release of my latest collaboration with Alpine, Red Card Ale, made just for the World Cup. Unlike the Alpine Irish Red, this 6.2% beer has a high bitterness at 50 IBUs and plenty of aroma hops. Most of the Alpine beer will be on tap all day, certainly all kegs by 5 pm. I expect most of the kegs to last past Saturday. Saturday the 12th we will feature some great new hard to find bottles that we just got in today. We will have beers from De Molen in the Netherlands, Struise, Haandbryggeriet, Fantome, Amager, De Ranke and more. All of the bottles will be 10% off all weekend as well and all of these new bottles will be available for purchase to-go. And a cask of 100% oak-fermented & unfiltered DBA. It all starts at 6 pm this Thursday. Don’t miss it!